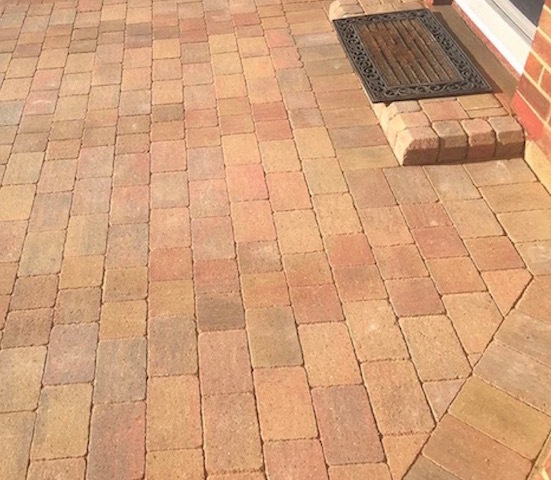 Block Paving Surrey offers quality driveway, patio and garden landscaping services in Windsor and surrounding areas of Berkshire. 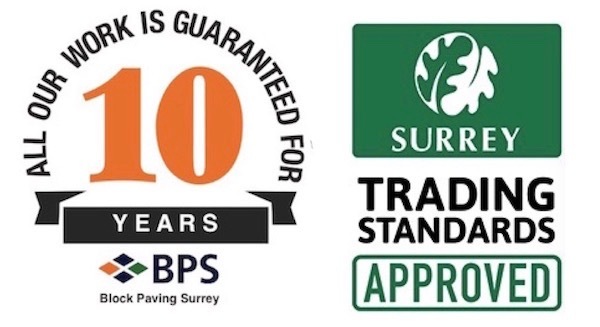 We are Surrey Trading Standards Approved and offer a 10-year guarantee on all our work, giving you complete peace of mind. We are also proud members of Checkatrade and have excellent reviews from customers including many from homeowners in the Windsor area. 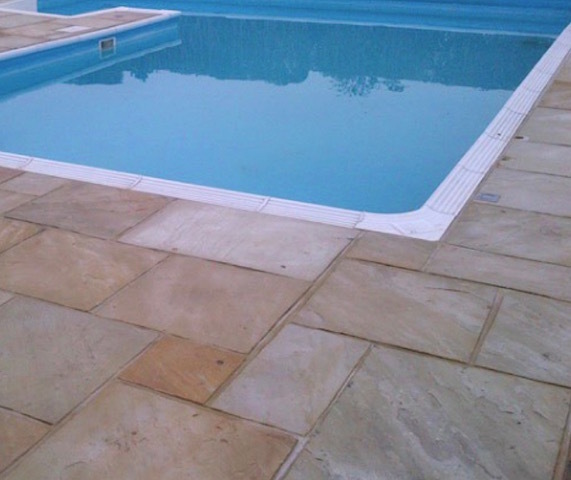 Our reputation matters to us which is why we always work to the highest standards and use only the best quality materials to create stunning driveways and patios that will stand the test of time and still look amazing in years to come. 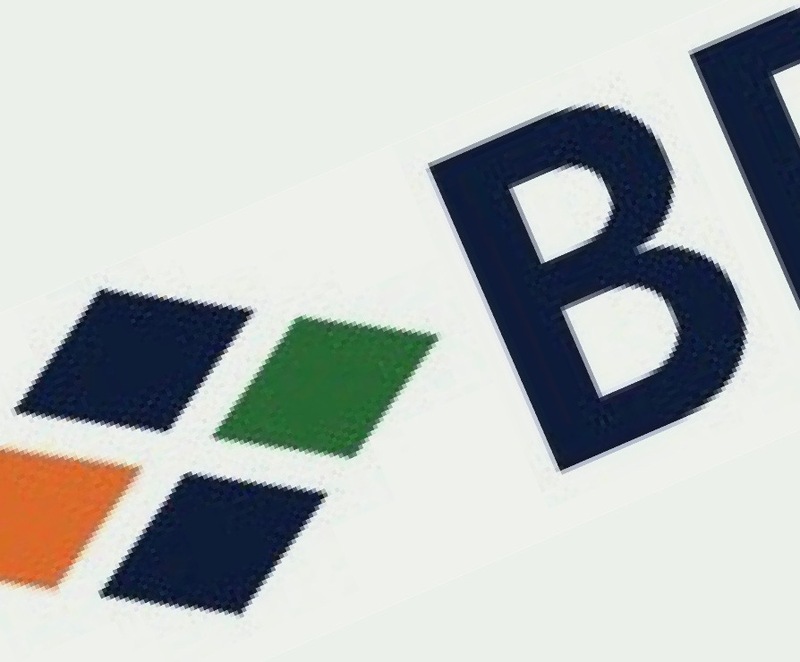 Call FREEPHONE 0800 747 1654 now for a free, no-obligation quote. 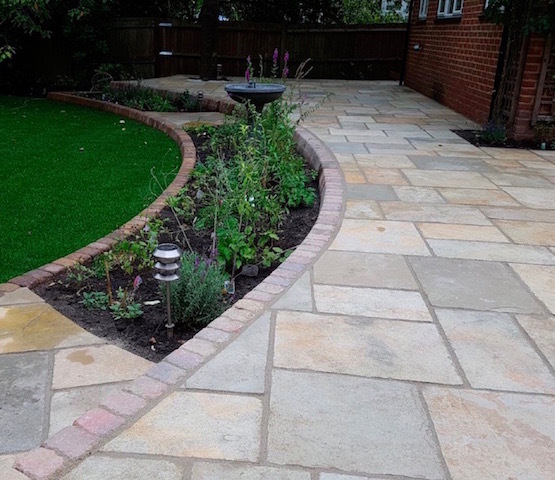 Block Paving Surrey undertook a patio and garden landscaping project for a customer in Windsor, Berkshire. 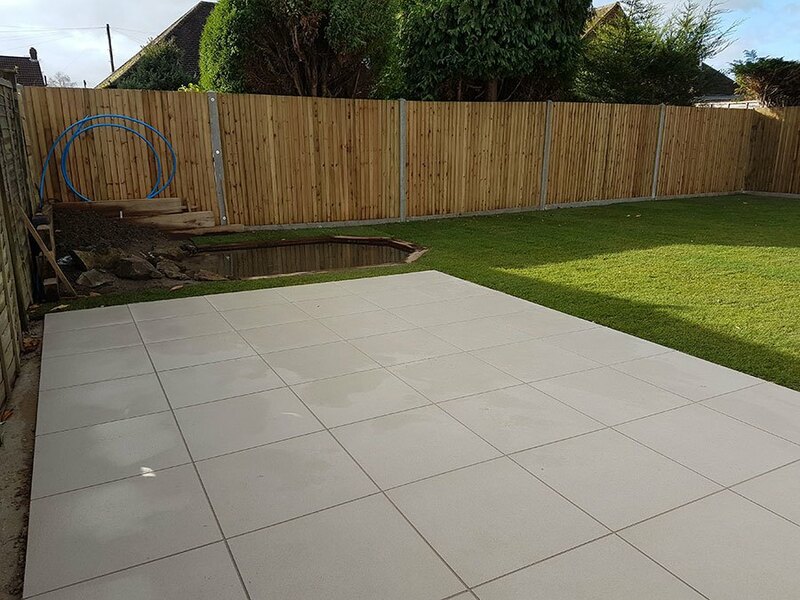 An eye-catching new patio was installed using Marshall’s Symphony paving slabs in buff with buff resin jointing. 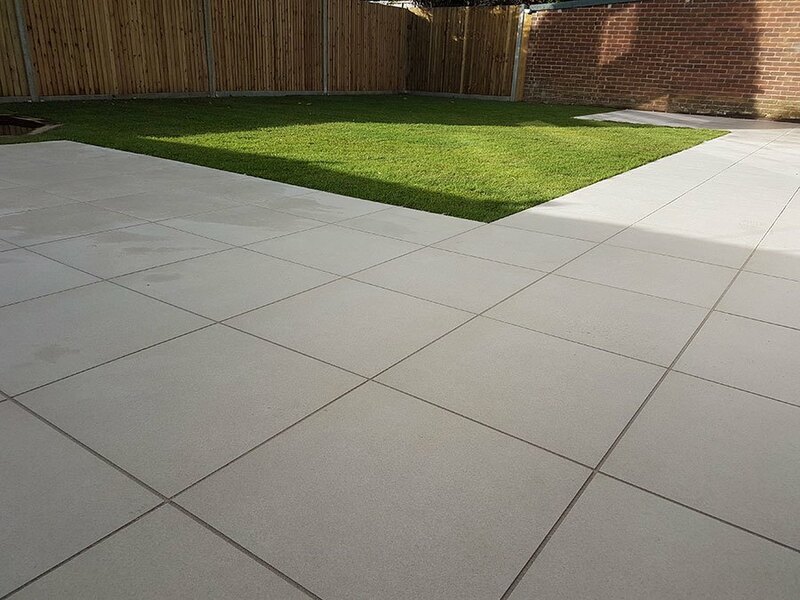 Symphony is a vitrified non-porous paving material, meaning that it absorbs little or no moisture meaning there are few opportunities for moss and algae to grow. As part of the job, BPS also supplied and relaid lawn turf and built a new fish pond. 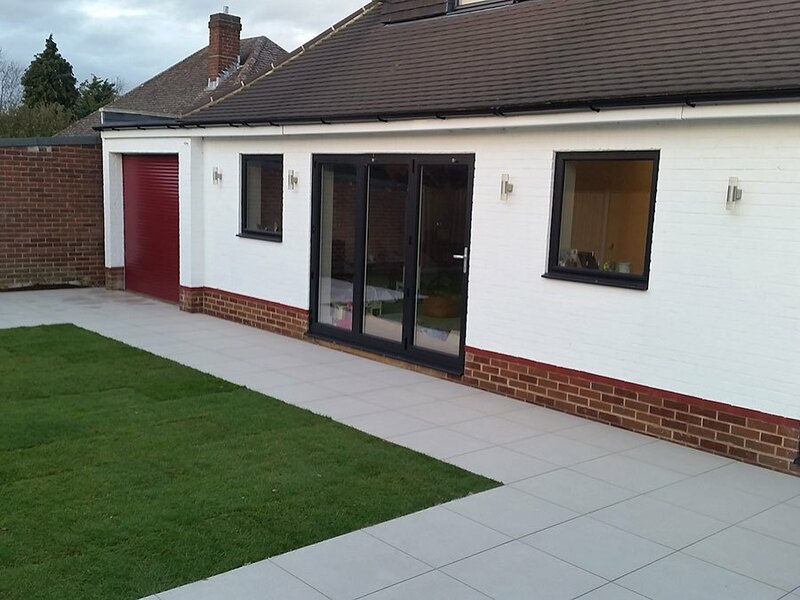 If you are a homeowner living in Windsor and are considering a new driveway, there are many options to choose from including block paved or tarmac driveways. 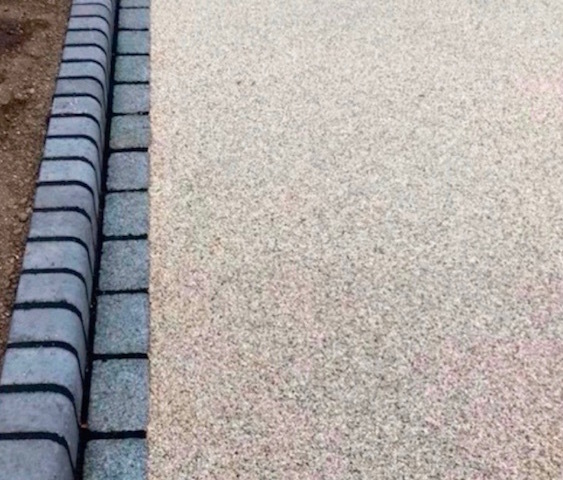 Tarmacadam which is also referred to as ‘tarmac’ is a cost-effective driveway surfacing solution. 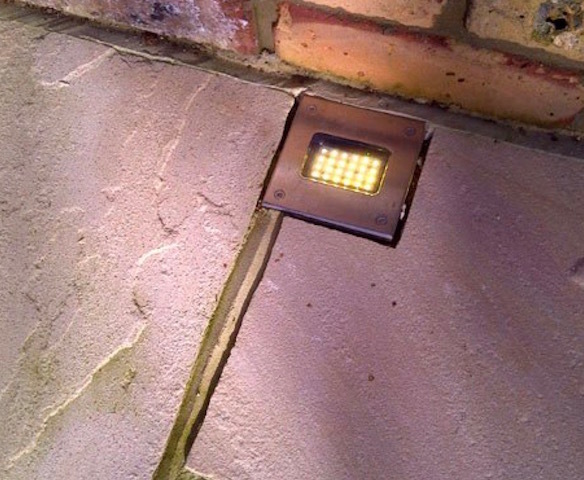 Windsor tarmac contractors Block Paving Surrey create stunning tarmac driveways in Windsor and surrounding areas including decorative touches such as the addition of some block paved elements. We also install coloured tarmac drives, for example in green or red. 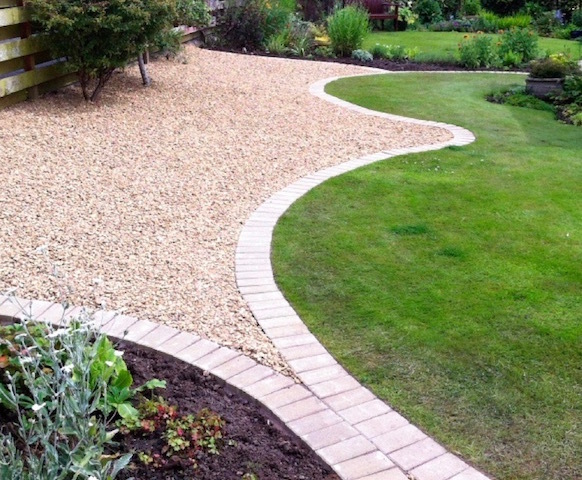 If you are looking for a local driveway company covering Windsor and want to know the cost of a new tarmac driveway, call Block Paving Surrey today on FREEPHONE 0800 747 1654. 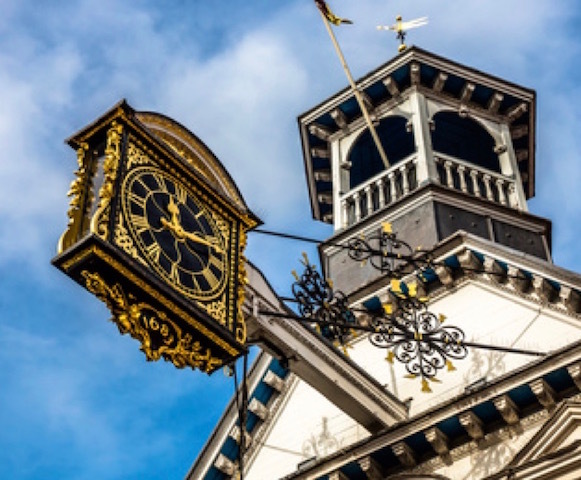 We cover Windsor and surrounding areas of Berkshire including: Eton, Clewer, Datchet, Old Windsor, Ditton Park, Eaton Wick, Boveney, Dorney, Water Oakley, Oakely Green, Fifield, Bray and Cranbourne.